This is Black and White Label bootstrap parallax Multipurpose responsive template that can be purchased and downloaded by any Businesses or Corporate, Portfolio or freelancer, Design Agency or Magazine, Parallax, Blog or App Showcase or company that operates in any field. This Bootstrap theme is created by one of the best designers on the entire web, it is realized by the latest Bootstrap and jQuery frameworks. If you do not know what it Bootstrap is and how it operates, then feel free to read an article that explains the whole content in a detailed manner. The article can be found here: WHAT IS BOOTSTRAP, HOW IT WORKS? This template has 2 versions: Black and White. Both versions of Bootstrap templates are very high-quality products. The template will be upgraded in future, every time we add some new pages and items in it. 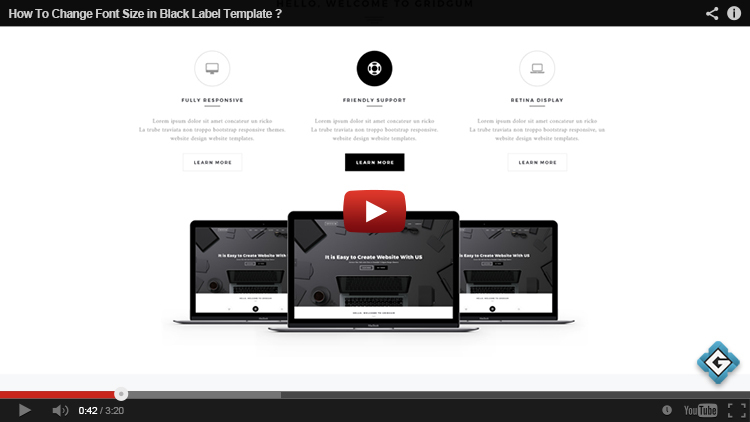 As it was outlined above, the Black and White Label Bootstrap has no specific design content, therefore, it can be employed by anyone and any business. In the 21st century, it is a must to be connected to the internet and to have an online platform to reach an as wide audience as possible. Therefore, if you are running a business and want to promote it then download this template and make it yours. Websites are always helpful for attracting new potential customers and increasing the number of sales of products or services that you offer. With Bootstrap template you will need a minimum effort to launch a website because all the work is already done. You will just need an HTML editor, for instance, Adobe Dreamweaver to alter the template’s design based on your preferences, wishes, desires, and taste. The Bootstrap templates are very popular and demanded because they are easily altered, managed and of course the price range makes them even more attractive. Bootstrap templates have many more advantages and benefits, for instance, they have a fully responsive design. Responsive design means that a website can be accessed through any gadget like cell phone, laptop, tablets, computer and etc. And the accessibility is very important because technology is developing with very high speed and people are using various gadgets to surf the internet. But the best thing about the responsive website is that it alters its design depending on which device is used, therefore website will always look perfect no matter what device is used. 1. Home: This section can be used to demonstrate most recently upgraded information which will be highly interesting to all viewers and potential customers. Make the home page as engaging as possible to convince the viewers to preview the rest of the pages as well. 2. About us: In this section, you can tell your history, who you are, when and why you were created. If you have partners present them since customers, love gaining as much information as possible to be assured in company validity and credibility. 3. Services: In this section, you can tell in a detailed manner the services that you offer, like what kind of problems they solve. Persuade your potential customers that you are the best issues solver on the entire market and therefore they have to choose you. 4. Sections: Its entirely up to you what you distribute on these pages, it can be price list, product features and etc. 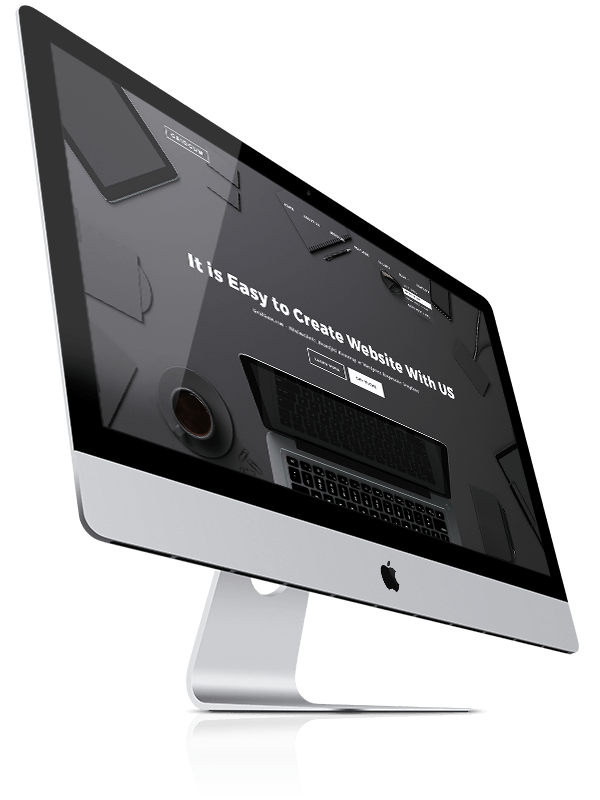 Use this space wisely and make your website interesting, informative and engaging. 5. Gallery: In this section, you can share images that are related to your company, the services or product that are offered, people who work with you and etc. If you like the images that are used in this template, you can use them as well since they are included in theme package and price range. 6. Blog: You can use this section as the space to blog about things that are related to your business activities. We offer different options for blog page design and it is entirely up to you which one to choose and employ. We also offer the Contact Form which facilitates the communication process between you and your potential customers. 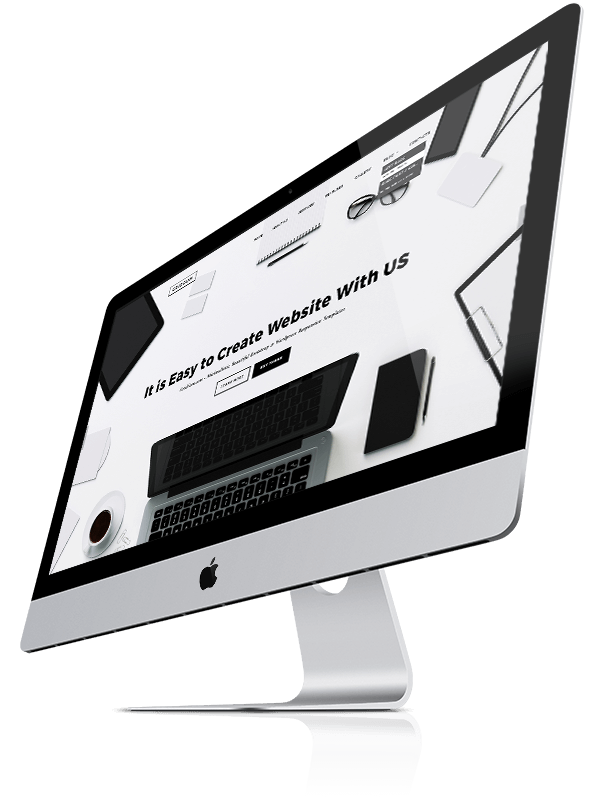 The Black and White Bootstrap template has everything to launch a highly functional website, therefore, do not hesitate and download it. If you have any questions leave them in the comment section and our support team will get back to you as soon as possible. To explain some matters meticulously the support team will create video tutorials and distribute them to you. 1. 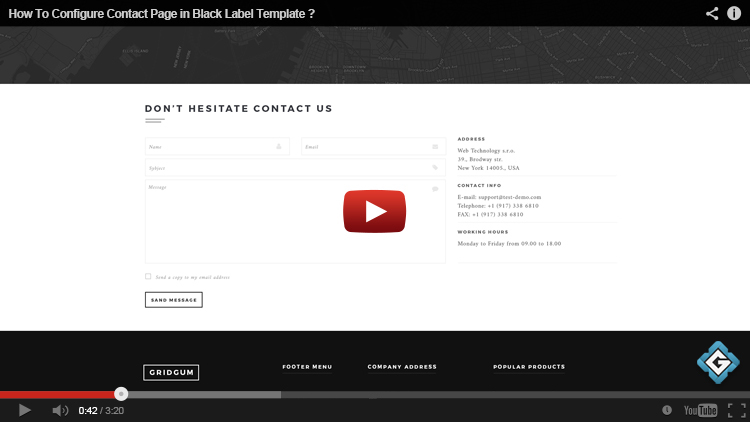 How to change font size in the "Black Label" template section ? 2. How to Configure Contact page ?